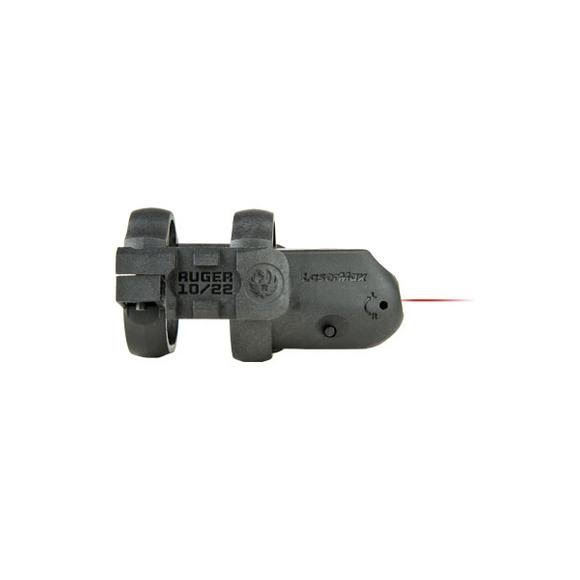 Working exclusively with Ruger's 10/22 Rifle models with barrel bands, this laser is lightweight, durable and visible to 100 yards. 2 integrated Picatinny rail surfaces allow you to add additional accessories. Working exclusively with Ruger &apos;s 10/22 Rifle models with barrel bands, this laser is lightweight, durable and visible to 100 yards. 2 integrated Picatinny rail surfaces allow you to add additional accessories.